Can you wear braces without anyone knowing? Even though more people (adults as well as children) are turning to the skills of an orthodontist to correct their crooked and misaligned teeth, many more are still put off by the prospect of having to wear conspicuous metal braces. These days specialists such as Orthodontics Manchester at Carisbrook Dental can offer you a number of different options so that even though you may have been fitted with braces – virtually no one will spot them. Over the years orthodontic technology has advanced from a single choice of conventional metal braces to offering a range of invisible braces that although highly discreet in appearance, will still effectively coax crooked or misaligned teeth into the correct position to create the perfect smile you’ve always wanted. At Carisbrook Orthodontics Manchester we have been providing ‘invisible braces’ for over ten years and can offer you an exceptional range of options. ‘Lingual Incognito’ braces for instance fit behind the teeth and so remain completely unseen. Many celebrities, including the Duchess of Cambridge, have chosen this option to discretely correct their teeth without anyone being aware of them. Another option is to have ‘Fixed Ceramic’ braces and although these fit on the front of the teeth, because they are white they remain virtually unnoticeable. Many people today are now choosing to have ‘Invisalign’ braces fitted and as their name suggests that are almost invisible. Instead of looking like conventional braces ‘Invisalign’ consist of a custom made clear transparent and virtually invisible tray that fits comfortably over the teeth. You wear the brace as normal during the day, but can quickly and easily remove it when eating or for an important social occasion. ‘Invisalign’ braces do require some involvement by the user, but they really do produce excellent results. So then, why is it a good idea to choose Carisbrook Dental and Orthodontics Manchester for your braces? Why not talk to us and decide for yourself? 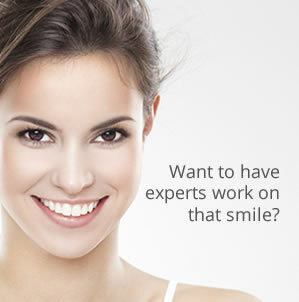 We are highly experienced and have been providing professional orthodontics treatment for over twenty years. We have a specialist orthodontist working permanently within our clinic. We don’t send you off to see someone else. What’s more, for your convenience, our orthodontist works on Saturdays so that you don’t have to take time off work. We can offer you every option to provide the perfect solution, whatever your age. We also have a range of financial options available to enable you to spread the cost of treatment if you wish. If you would like to know more about the range of orthodontic treatments available, please contact us or see our Testimonial Page to read our patients’ comments.